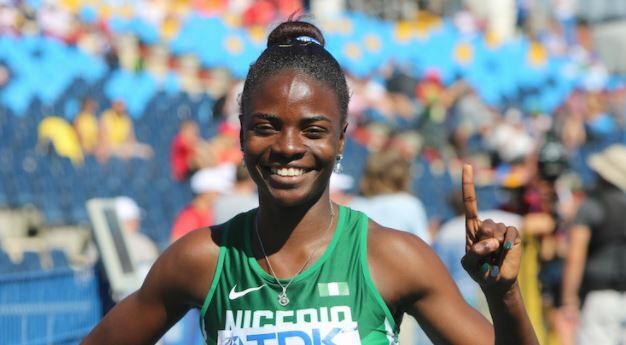 Oluwatobiloba Amusan has won the gold medal in the Women’s 100m hurdles event on Friday at the ongoing Commonwealth Games in Gold Coast, Australia. She finished the race in 12.68 seconds. Amusan defeated Jamaica’s duo of Danielle Willimas and Yanique Thompson who finished on 12.78 and 12.97 seconds respectively. Team Nigeria has recorded a total of four gold medals on Day Nine. The Games which began on April 4 will end on Saturday.